Barack Obama’s eight-year tenure as President of the United States is swiftly drawing to a close, but that doesn’t mean his online critics have stopped hating on him. 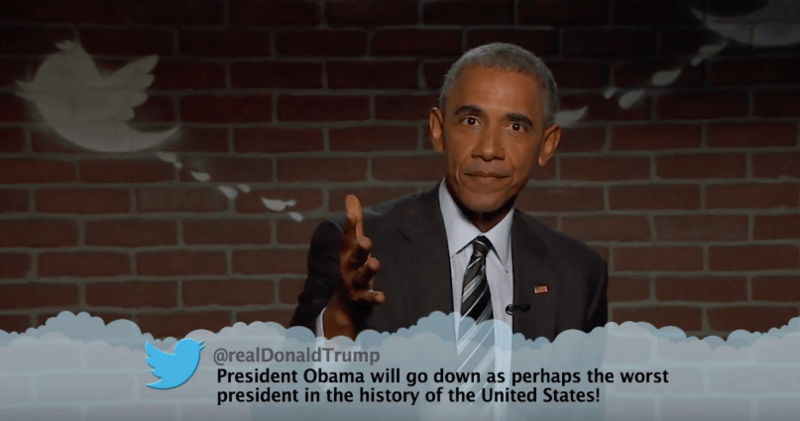 Taking part in Jimmy Kimmel’s ‘Mean Tweets’ segment for a second time during his appearance on Live!, he willingly read aloud a series of not-so-nice comments written about him on Twitter. This time, complaints included calling Obama the ‘Sharknado of presidents. Loud, stupid and over-hyped,’ and declaring that he probably has mustard on his hot dogs because he’s ‘gross’. 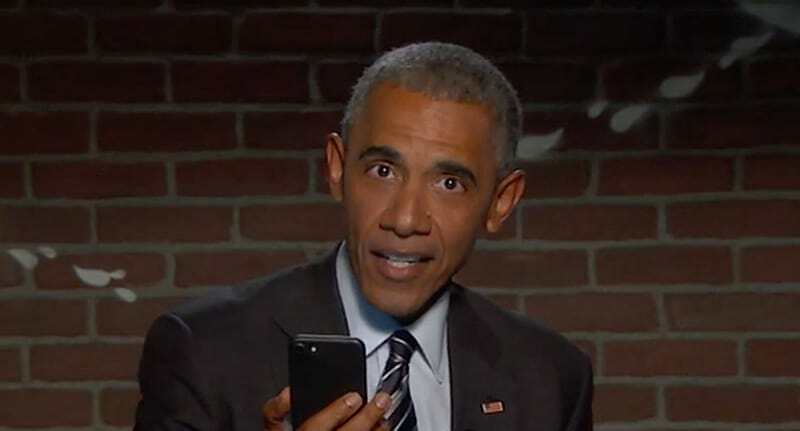 Now, as we know from Obama’s last ‘Mean Tweets’ read-out, he’s pretty good at hitting back at haters. And his latest remark is going to leave a mark. He swiftly followed that up by a mic (or in this case, phone) drop. Obama out. Even host Jimmy Kimmel threw shade at Trump, saying Obama had to ‘take time away from helping rig the election’ to appear on the show – a dig at the Republican candidate who has repeatedly said the November 8 vote is rigged against him. It’s no wonder everyone wants the Obama family back in office.